Order groceries directly from Woolworths, straight from your Family Hub using the Woolies shopping App. 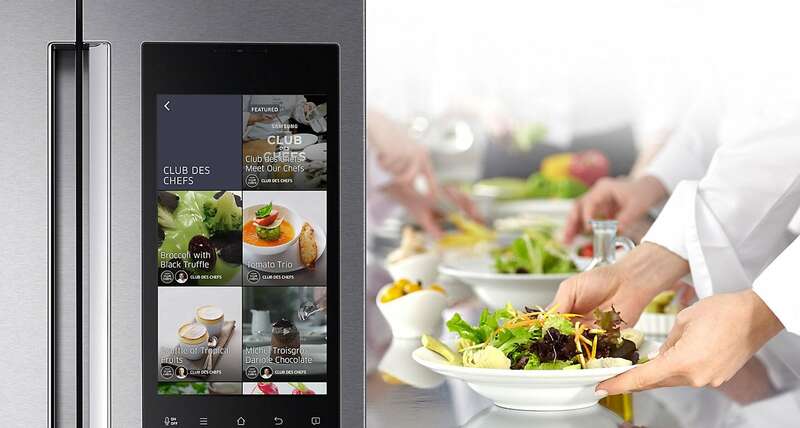 With unlimited access to recipes through the app, you’ll never have a boring meal again! 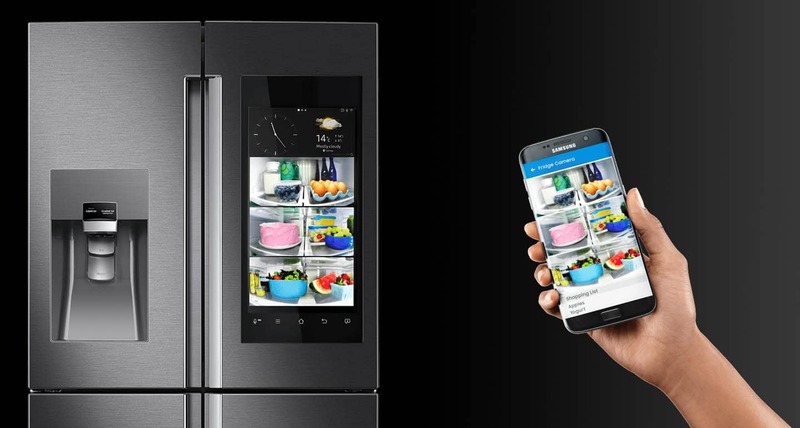 See what's inside your fridge at any time! 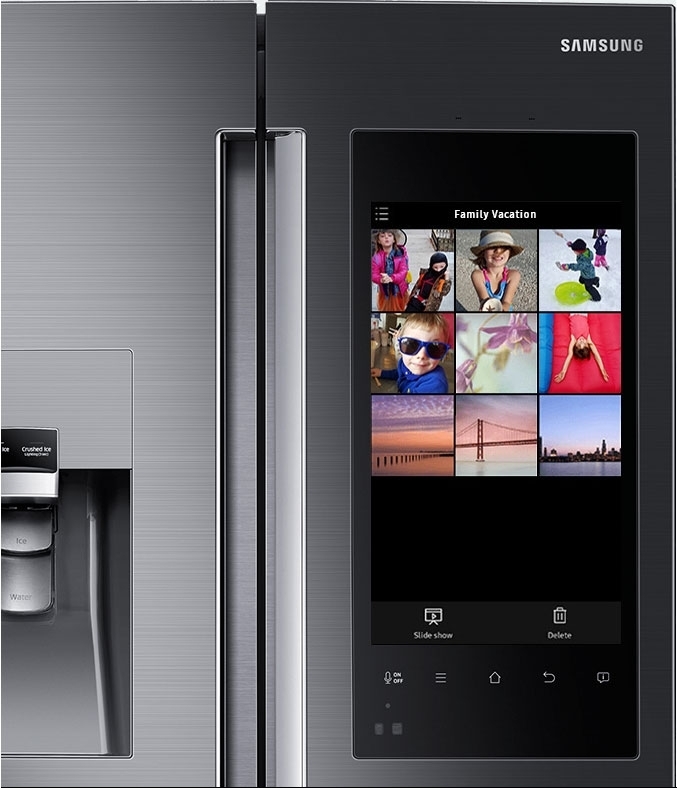 Built-in-cameras allow you to see what's inside your refrigerator, anytime, anywhere, using just your smartphone. With three cameras clearly showing the shelves inside, it's easy to see what you have and what you're missing when you are out and about. The Recipe App lets you find tasty and practical recipes easily, by international chefs. 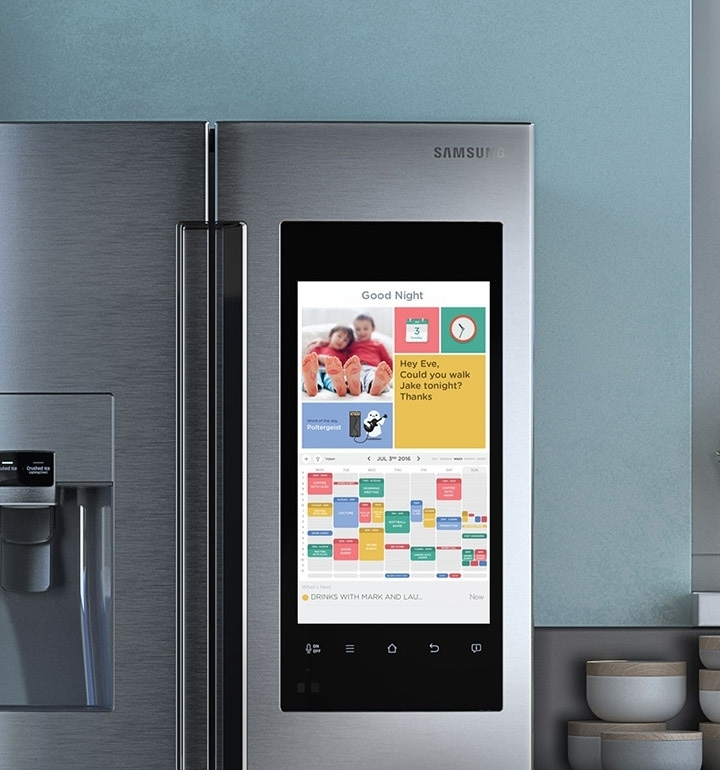 * Search 180,000+ recipes with the App or get suggestions based on ingredients in the fridge. 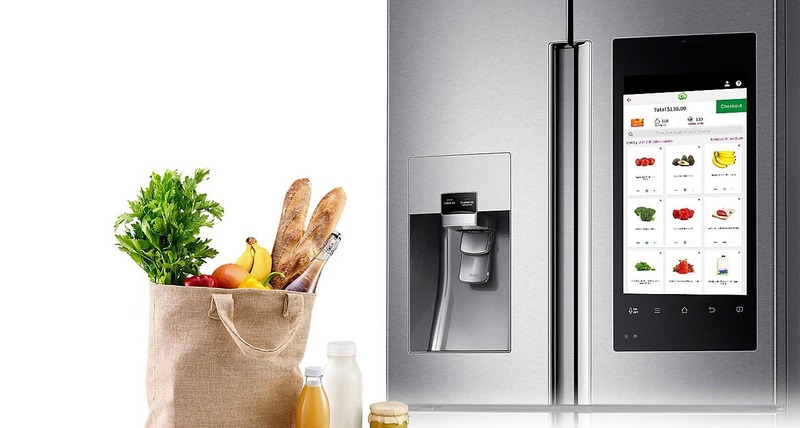 The Food Reminder helps to reduce waste and ensure that you enjoy food at its best. 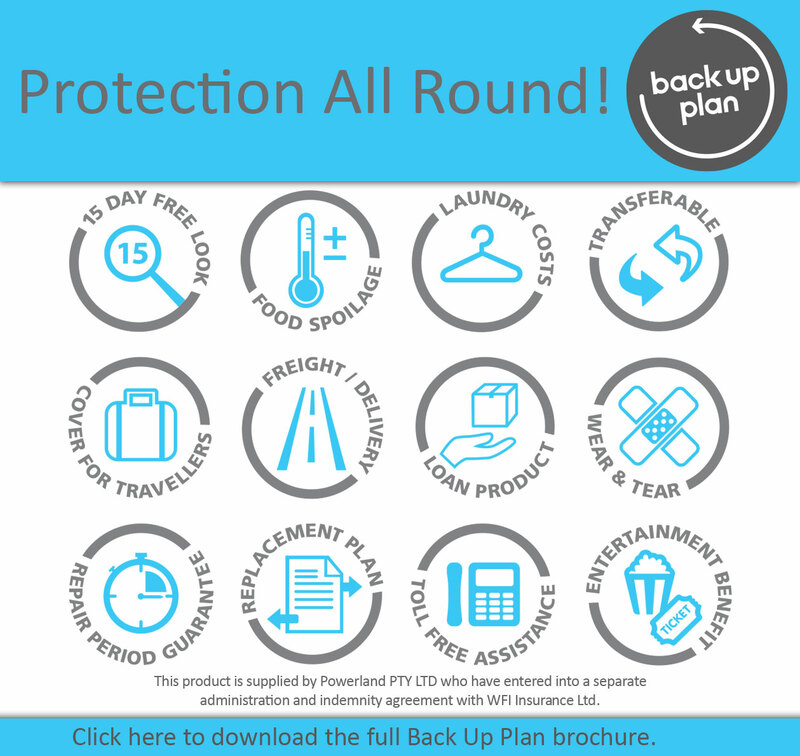 Enter the expiry dates of items stored in the refrigerator, along with their location, and let the Family Hub remind you when food needs to be consumed. Share and see everyone's calendars at a glance. Leave personalised messages using the Memo app. 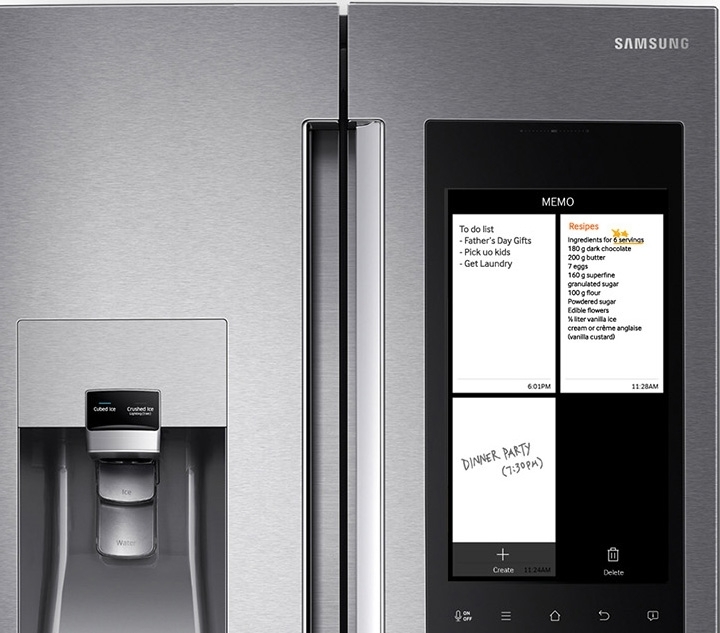 Just write on your phone and it will appear on your refrigerator for everyone to see. Manage family chores easily using the To-Do app. Create to-do lists for each family member, with personal Avatars using the Family Hub or your smartphone. And check off completed items so everyone knows you’re getting stuff done! Upload photos straight from your phone and share holiday updates with your family while you're away – all direct to your Family Hub home screen. 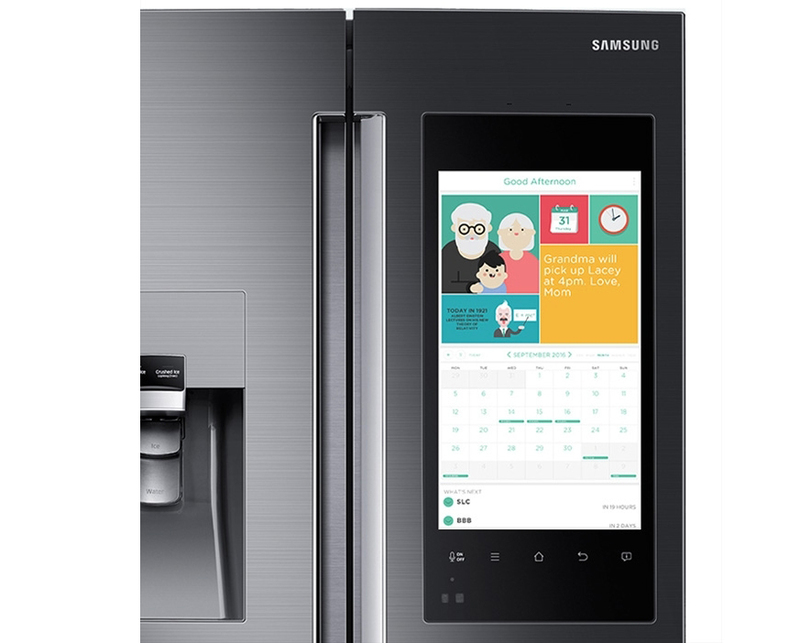 Joys of a "Talking Fridge"
Enjoy the convenience of voice-activated controls. 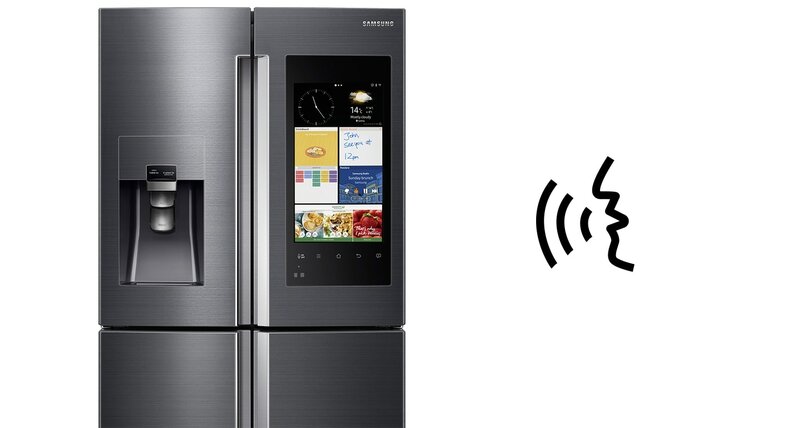 Add items to your shopping list, play music through the music apps+, set timers or search the internet, all with your voice. With built-in speaker system, access music through a range of Entertainment Apps like Spotify and Tune-in Radio while you cook or entertain guests. 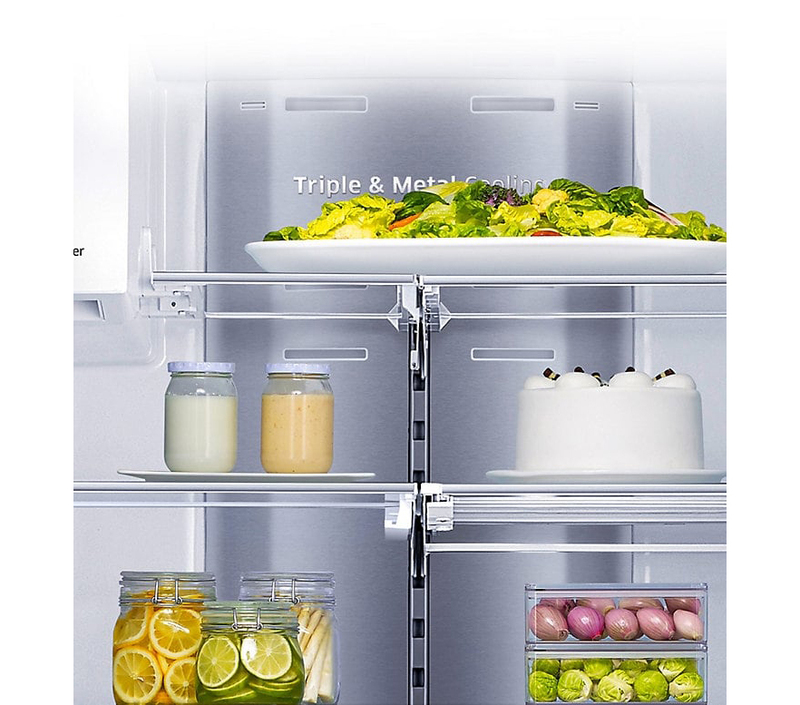 Revolutionary triple cooling technology uses three separate cooling systems to help maintain temperature control and humidity while minimising the mixing of odours. A metal cooling plate also helps keep the air cool and maintains freshness, while adding a sophisticated touch to your kitchen. 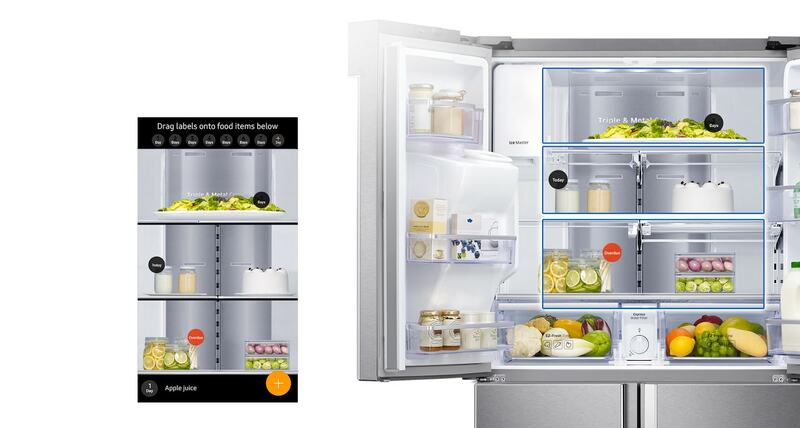 ✓ See what's inside your fridge anytime!